Darien is a town in Fairfield County, Connecticut, United States. A relatively small community on Connecticut’s “Gold Coast”, the population was 20,732 at the 2010 census. 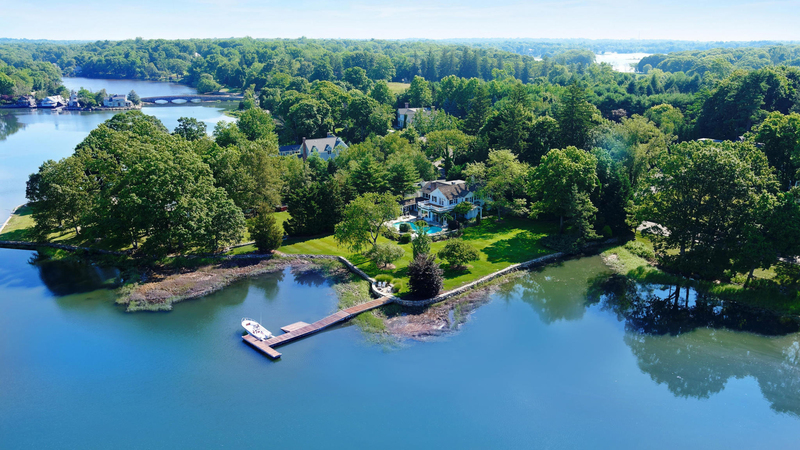 Darien is one of the wealthiest communities in the US; it was listed at #7 on CNN Money’s list of “top-earning towns” in the United States as of 2011. Situated between the cities of Norwalk and Stamford, the town is a bedroom community with relatively few office buildings. Most workers commute to the adjacent cities, and many also work in Manhattan. Two Metro-North railroad stations – Noroton Heights and Darien – link the town to Grand Central Terminal and the rest of the New Haven Line. For recreation, the town includes four small parks, two public beaches on Long Island Sound, four country clubs, a hunt club, and two yacht clubs. The town name is pronounced /dɛəriˈæn/ (like “Dairy-Ann”), with stress on the last syllable, and has been referred to as such at least as far back as 1913. Residents say this is still the proper pronunciation, which in the local dialect is more precisely [dɛəɹiˈɛən]. “You can always tell when someone is not from here, because they do pronounce it the way it’s spelled,” Louise Berry, director of the town library, said in a 2006 interview.